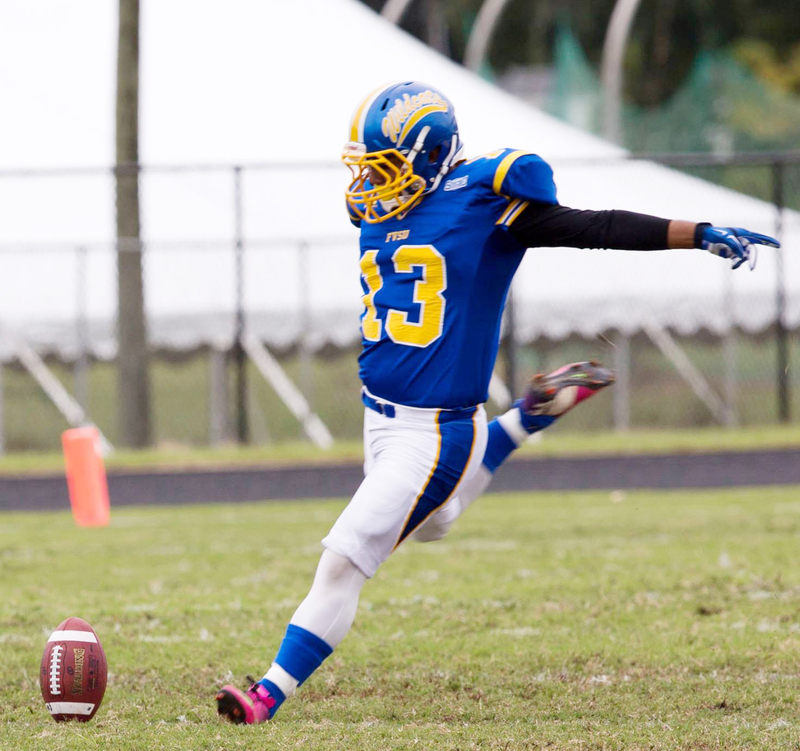 Fort Valley State University Wildcats’ junior punter, Juan Serna from Douglasville, Georgia (Douglas County), has been named to the 2016 Southern Intercollegiate Athletic Conference (SIAC ) First Team Preseason All-Conference Team, as announced and voted on by the SIAC head coaches and sports information directors. Serna led the SIAC in punting with a 43.0 yard average per punt. He appeared in 10 games, punted 56 times for 2,406 yards and a 66 yard long. Serna had four punts for touchbacks, 15 punts for 50 + yards, and 15 punts inside the 20 yard line. Fort Valley State is picked to finish third in the eastern division with 49 points, while Albany State University to finish first with 14 first-place votes and 78 points. Morehouse College picked to finish second, Clark Atlanta University and Benedict College rounds out the predicted order of finish in the east. In the western division, Miles College was picked to finish first, with eight first-place votes and 72 points. Tuskegee University was voted to finish second with seven first place votes and 69 points. Central State University, Lane College and Kentucky State University followed.